A perfectly lovely and sweet Chinoiserie bathroom from Elizabeth Dinkel. 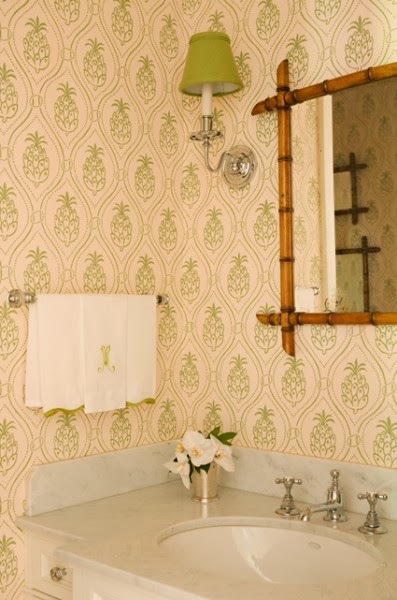 Really love the pineapple wallpaper and the green sconce shades. This room is simple but the little touches and details are what make it special. 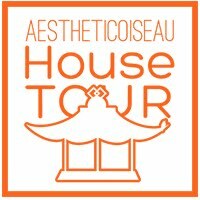 Hope you have a lovely weekend...see you Monday (for the last installment of the house tour! ).